The Sunflower Lounge has forever been one of Birmingham’s best live music venues simply because of it’s glorious intimacy. Music fans have been treated to small-scale performances from future stars in the sweaty basement of the place for as long as most people in Birmingham can remember. 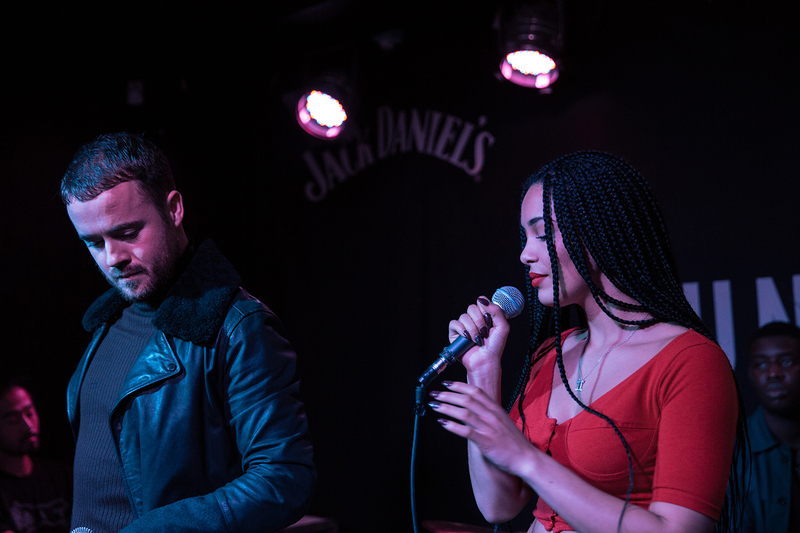 Jorja Smith could’ve pretty much played any venue in Birmingham as part of her sold-out tour of the UK but she chose low-key surroundings to play host to her personal, delicate take on contemporary R’n’B. 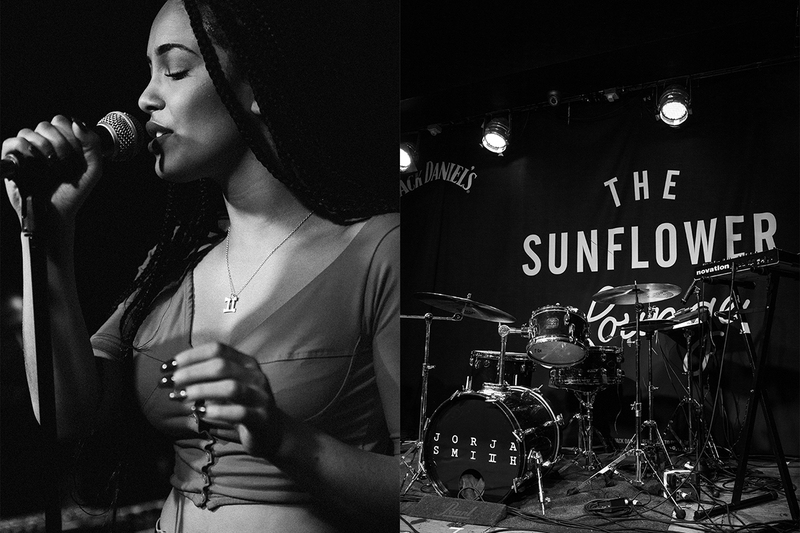 The Sunflower Lounge’s basement feels a tiny bit too close for comfort at the best of times; therein lies the charm of the place but on the night of Jorja Smith’s debut in the West Midlands that raised her; the place is packed out even more than usual. Family, friends and fans are tightly packed so Jorja and her backing band have to slowly squeeze through the bustling bodies to get to the stage. Throughout 2016 Jorja Smith has dropped the odd single, played the odd festival appearance and has seen her every move adored by the press and radio world. This small run of shows is her time to celebrate. Her set comprises of the singles that made her name; ‘Blue Lights’ and ‘Where Did I Go?’ alongside cuts from her most recent Project 11 EP. Her music takes on a much more relaxed groove when aired out in the live environment. Her voice was pristine the whole way through. Jorja’s onstage presence is that of a humble musician, still coming to terms with the fact that the world wants a piece of her. She laughs and jokes with family members in the crowd – effortlessly being able to turn on and off the R’n’B powerhouse within. Her set includes the odd cover which seems slightly unnecessary when her own original material rings out so brightly. At various points during the evening, the entire room is completely silent; the crowd’s ears are hungry to hear her. It’s been no secret that a few famous faces have been showing Jorja Smith some love; her debut track ‘Blue Lights’ had Dizzee Rascal, Stormzy and Skrillex all tweeting her praises. Familiar faces from the musical world outside of Birmingham have been drawn to tonight’s show; Maverick Sabre joins Jorja on stage for a few numbers – the pair’s writing relationship can be seen in full force on stage and for those who keep a keen ear trained to BBC Radio 1xtra will have noticed taste-maker DJ Semtex as a face in the crowd tonight. For those of us who were lucky enough to push our way into the room for Jorja Smith’s debut West Midlands performance; we can forever hold that as an ‘I was there’ moment. For those of us who missed out – she’ll be back.